Gosh, those scientists sure do have fun. A marine isopod assigned to the family Bopyridae, which is known to occur near Taiwan. It is an ectoparasite that resides in the gills of its host, the mole crab Albunea groeningi. A. yoda was named after Star Wars Jedi master Yoda because the slightly curved long lateral extensions of the head of the female reminded scientists of the head of Yoda with his drooping ears. An Australian mite named in 1996 by G. S. Hunt. The only member of the genus, D. greensladeae is also sometimes called Novazelandiella greensladeae. An extinct ruminant discovered in Spain in 2015 that sported three distinctive horns. It belongs to the palaeomerycidae family, thought to include the ancestor of the giraffe. According to Israel Sánchez of the National Museum of Natural History in Madrid, he and his team named the animal after Star Wars's Padmé Amidala because its horns resembled the outlandish hairstyles she wore when queen of Naboo. 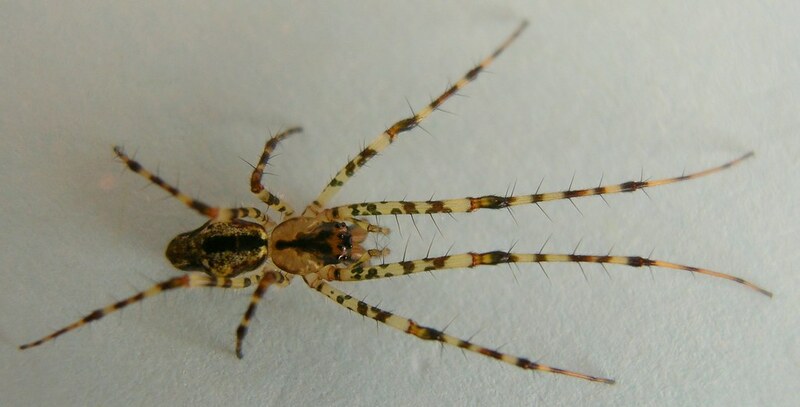 The common name of this Hawaiian spider species is "Humpback Spiny," because of its prominent mid-dorsal abdominal peak, said discoverer Rosemary G. Gillespie in 1992. It wasn't much of a stretch to name it after literature's most famous example. The dark marking on the flared tail of this armored South American catfish reminded ichthyologist Pablo Lehmann of Gotham City’s masked vigilante: "The name batmani alludes to Bob Kane’s hero Batman of the comic adventures, which had a bat shape for his symbol, referring to the single W- or bat-shaped vertical spot on the caudal-fin." A ground-active ant that occurs on Madagascar. The T. jedi species also includes T. avaratra and T. pleganon. According to the authors Paco Hita Garcia and Brian Fisher, T. jedi was named in 2012 after the “fictional, noble, and wise guardians of peace from the Star Wars universe created by George Lucas." A species of armored catfish found in the Gurupí River of Brazil. It was discovered in 1998, and is characterized by dark, bulging eyes and a sucker mouth, not unlike the Star Wars Rodian bounty hunter Greedo. When Jonathan Armbruster and his colleagues at the Auburn University Museum of Natural History were examining a specimen collected in 2005, one of his coworkers mentioned that the fish looked “like that guy from Star Wars," and that was that. Sauroniops pachytholus was a carcharodontosaur, a type of huge theropod, from the Late Cretaceous period. It was identified from a single fossil of the upper skull, including the eye socket, unearthed in southeastern Morocco in 2007. "The idea of a predator that is physically known only as its fierce eye reminded me of Sauron, in particular as depicted in Peter Jackson's movies," study leader Andrea Cau explained. A deepwater shark discovered in the Philippines and named in 1973 by Leonard Compagno after The Lord of the Rings character: "named for the antihero of J. R. R. Tolkien's Lord of the Rings trilogy, to whom this shark bears some resemblane in form and habits." The species name does not come from Sulu of Star Trek fame, but from the Sulu Sea in the southwestern Philippines. “Gojira” is the original Japanese for “Godzilla," named in reference to its great size compared to other Triassic theropods. The species epithet, quayi, honors Quay County, New Mexico, where it was discovered by Ken Carpenter in 1981. A Late Cretaceous species of frog, one of two discovered from skull, ilia, and humerus bones in Alberta, Canada, in 2015. Named in honor of muppeteer Jim Henson and his Kermit the Frog character by Dr. Jim Gardner and Dr. Donald Brinkman of the University of Alberta. 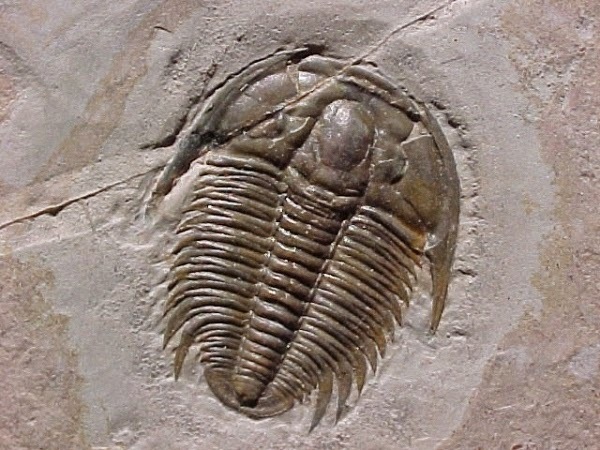 A species of trilobite discovered in 2005 by paleontologist Samuel Turvey. Turvey named the species after the Muppets' cantankerous old-man duo Statler and Waldorf because the animal's pygidium (tail) resembled their heads. Discovered a new type of acorn worm, scientists have. Named it after Yoda, they did. One of three new species in the family Torquaratoridae, Y. purpurata ("purple Yoda") found during the ECOMAR research program, which used a remotely operated submersible to search for new animals along the seafloor at the Mid-Atlantic Ridge between Iceland and the Azores. The species was so named because its long lateral lips put scientists in mind of the Jedi Master’s ears. The genus name Han was originally assigned in honor of the Han nationality, China’s largest ethnic group, where the trilobite was discovered. When paleontologist Samuel Turvey was assigning a species name to this long-extinct creature, he named it "solo" after the fact that the species is the youngest Diplagnostidae fossil found to that date (and the only one in its genus), suggesting that it was the last surviving member of that family. Turvey has also said, however, that he named it after Han Solo because his friends dared him to name a species after a Star Wars character. Central American jumping spider named after Bagheera, a benevolent panther who guides young Mowgli in The Jungle Book, and the author Rudyard Kipling himself. 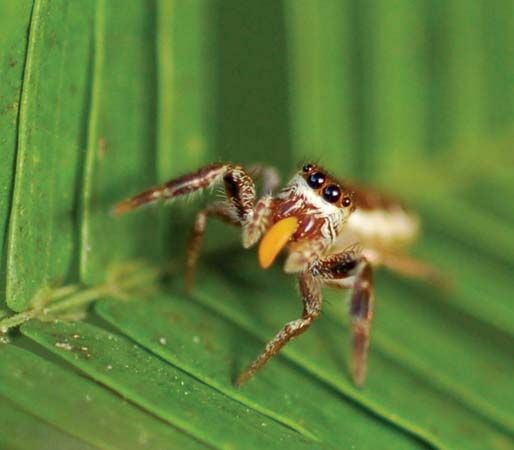 It's the first predominantly vegetarian spider known to science. 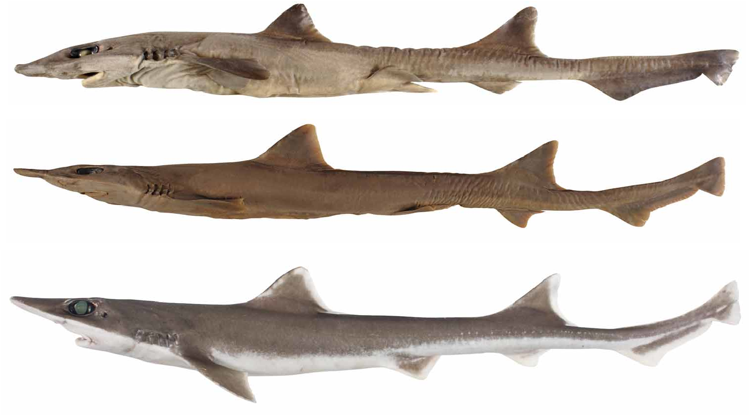 Iago garricki (Longnose houndshark) and Iago omanensis (Bigeye houndshark) were named in part after the villain of Shakespeare’s Othello. A species of Costa Rican salamander named for Sophocles’ Oedipus rex and Sigmund Freud’s infamous psychoanalytic theory based thereon. A species of fungus in the Boletaceae family, genus Spongiforma. Found in Malaysia, it was described as new to science in 2011. It produces sponge-like, rubbery orange fruit bodies that have a fruity or musky odour. The name derives from the cartoon character SpongeBob SquarePants.